These red alligator clip badge reels look great and are highly versatile. 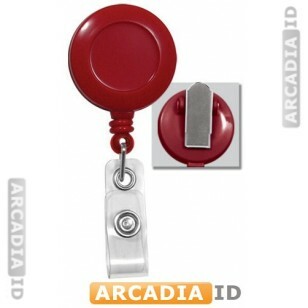 Attach them to any point on your clothing and easily extend the badge for use in a variety of scenarios. For more quality photo ID card supplies at low prices browse our other items. Rapid delivery on all products.